Yesterday was a Monday, and for me (and Chris!) it was a 40 hour Monday. 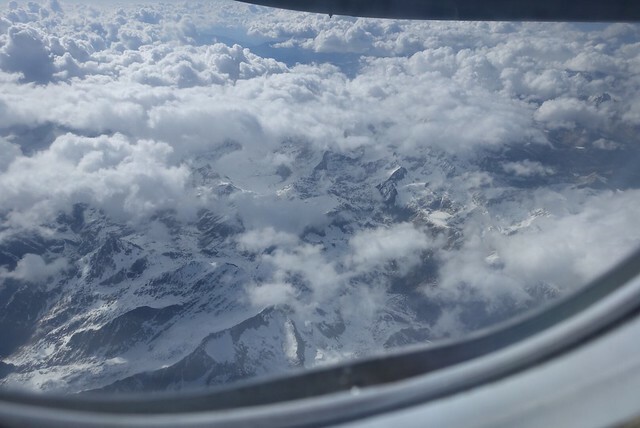 My overriding thought was "where do I get back on the PCT", and to go through the motions of all sorts of transport connections and modes, which ended up being "walk, subway, express train, jet, car, turboprop, taxi". That doesn't sound like all that much, really, but it was 6000 miles of travel. I've decided that I'm not going to skip over the Sierra. 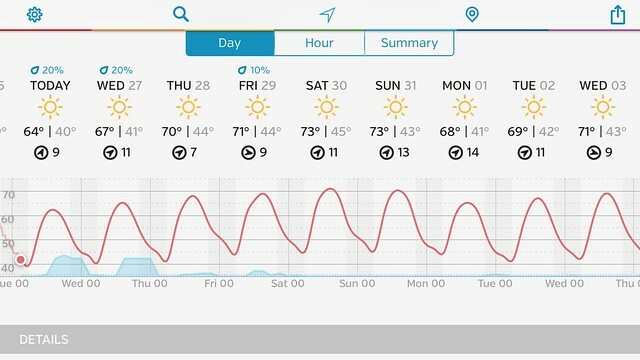 The weather forecast for the next week is fantastic--warm and sunny and temperatures in the 70s at Mammoth, which is my 'marker' weather forecast city for this section of the trail. Mammoth is at 8000 feet elevation, and even allowing for a drop off for altitude the temps will be in the 50s and 60s, which is great for hiking. There's no snow or even rain forecast, maybe some very brief sprinkles tomorrow--no reason at all to avoid this area, except to save a bit of snow walking. With temps this warm, and not even much below freezing at night, the snow will be melting very quickly, and the only difficulty will be in the first couple of days when it'll be slushy early in the morning. Weather for Mammoth. Spring is returning to the Sierra. I flew over the Sierra on my connecting flight from LAX to Mammoth, and it looked pretty doable as well. I had sat on the left side of the aircraft, hoping that the flight path would go up 395, but instead the plane headed up the west side of the Sierra, crossing the crest north of Visalia to Bishop, before coming in for a bumpy landing. That path still let me scope out what the conditions were like around the Evolution Valley/Piute Canyon/Sally Keyes Lakes/North Lake area, and they looked quite doable. I've also been chatting with my buddy Joe in Reno, and he pointed out that other thru-hikers would be tramping down the trail as well through the snow. That's something I hadn't even thought of! When Joko and I came over Forester Pass on April 30th, there wasn't any trail to follow, we were cutting our own path across virgin snowfields and it was slow going. It'll be good to follow in someone's footsteps for once. That's another thing I'm looking forward to: being around more than just one or two other people. Since I started the PCT on March 17th, I haven't encountered more than 20 other thru hikers in the not-quite-seven weeks from the border to Kearsarge Pass, and I'd often go days without seeing anyone else. It was great to have my choice of camping sites, but often it was just kind of lonely, though I got used to it and just spent a lot of time looking at pictures and writing. I did run into many many more when I did the two day walk from Cajon Pass to Wrightwood, so I know they're coming up on me from behind. Hopefully I'll connect with a few of them on this walk thorugh the high Sierra. So the plan once I get back on the trail is to just head on north from Kearsarge, resupply and rest here in Mammoth in a week, and continue north to South Lake Tahoe and meet up with another friend, David. I don't want to rush through this part of the PCT, which has spectacular scenery, as well as the snow which will slow me down, so most days will be around 15 miles or so, with a few longer and a few shorter. I also want to go up and over the passes very early in the morning when the snow is crisp and harder, and then get down the far side of the passes quickly so I'm not postholing all afternoon. Wed May 27: Onion Valley Trailhead to below Glen Pass. 10 or so miles. Thu May 28: Glen Pass early, past Rae Lakes, to below Pinchot Pass. 11 miles. Mon Jun 1: No pass today. Just get to Sally Keyes Lakes. Tue Jun 2: Selden Pass early, then somewhere around mile 882 on Mono Creek. I'm not heading to VVR... Mammoth is just a couple of days walk away. Might push it a bit so as to not make the next day a long day. Wed Jun 3: Silver Pass early, then out at Mammoth Pass at mile 902 to Horseshoe Lake. This is a 23 mile day, which is a stretch. That week... through north Yosemite NP. Tue Jun 16: Arrive Echo Lake, mile 1092, in mid to late afternoon. There's the rough outline. As for today, it's wait around here in Mammoth at Stellar Brew until 4:30, then meander down to McDonalds to catch the bus to Independence. Tonight I'm at the Mt Williamson Motel, owned by a thru-hiker named Strider... who's getting me up to the trailhead tomorrow morning! I'm excited, and really happy that the weather's finally taken a turn for the better. And my pack might be really heavy now with food and bear canister and microspikes and ice ax, but I don't have to stress about water anymore, yay. Time to get on with the trail!